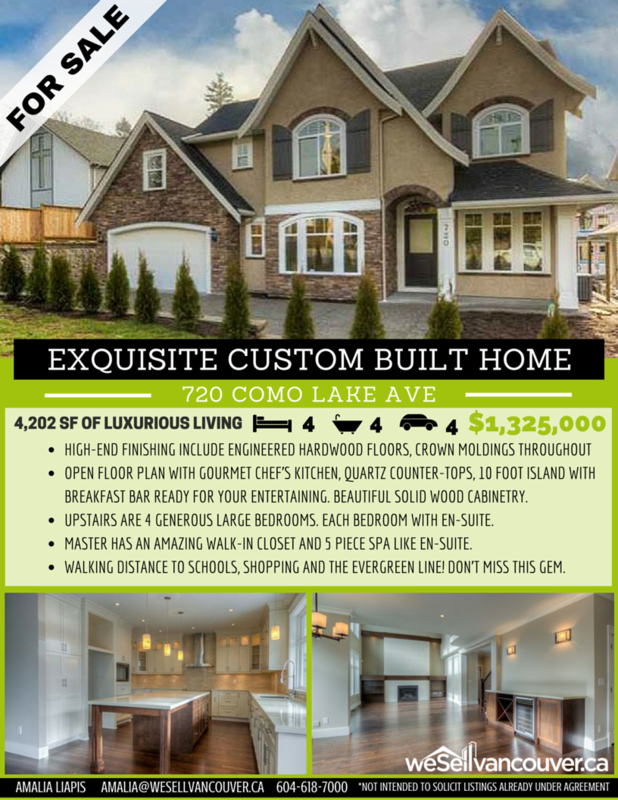 We've got a new listing in Coquitlam at 720 Como Lake Avenue. This exquisite quality-finished custom-built home is listed at $1,325,000. Contact Amalia Liapis at 604-618-7000 for more details!